Welcome to another edition of my Makeup Monday Series Tutorial featuring a daily look I created with some neutral shades from the Urban Decay Naked2 Palette. To be honest, I didn’t have the $54 to buy the Naked2 palette, but I love all the shades, especially after using my Naked3 and Vice3 Palettes. I found on Groupon a palette series called “Exposed,” which features several shades suspiciously similar to the three Urban Decay Naked palettes on sale for $18 each. I decided to just go for it and ordered the “Exposed 2” palette, which has similar shades to the Naked2 Palette! I can tell the difference in the quality of the eye shadows, but they do their job and achieve the look I want. After using this palette, I will definitely be purchasing the Naked2 palette next time I have some money to spend at Sephora! This is a perfect daytime look, I tend to wear some neutral gold shades to work, they give some glam while not being too over the top. 1. First, prime your lids with an eye shadow primer, I uses Urban Decay Primer potion! 2. Sweep (1)#16 and (2) #15 across the inner part of the lid. These shades correspond to (1) Snakebite and (2) Chopped on the Naked 2 Palette. 3. I then dipped my brush into (3) #18 and (4) #23 to get a darker shade and applied it to the outer corner, dabbing it going into the center part of the lid. These shades would correspond to (3) Pistol and (4) Busted on the Naked 2 palette. 4. I then tried to blend the dark shade into the gold shades using the fat end of the brush. 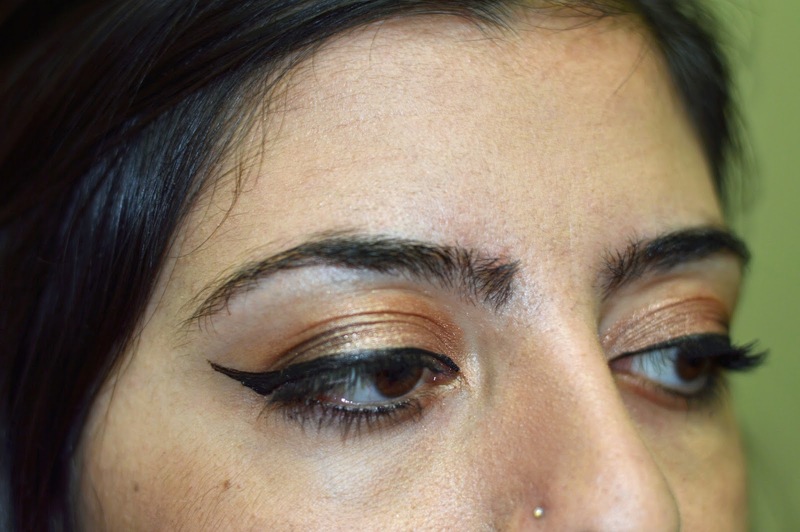 I also used (2) #15 in the crease to blend into the brow bone. 5. Line the upper lid with a liquid liner, bringing it to a cat eye if you like (Check out my Winged Eye liner tutorial HERE). 6. Coat your lashes with mascara and enjoy your look! I used Urban Decay Perversion Mascara with Subversion Lash Primer! For my liquid liner I used Maybelline Line Stiletto! My favorite! Have you tried a cheaper “knockoff” version of a more expensive makeup brand? Have you noticed a difference in quality? While I in no way can say this is equivalent to Urban Decay’s Naked palettes, it still gives me a similar look with a more inexpensive palette. Let me know what your go-to daily makeup look is! I prefer the golds, but would love to hear what you like! 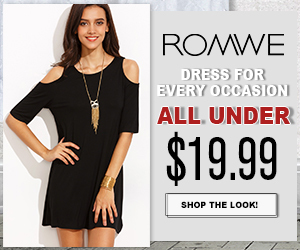 Next Post Statement Dress to Impress – Spring has sprung! Oh No! My last comment didn't post! I love your makeup tutorials! You make it look so easy and effortless! I actually own the Naked 2 palette so I am definitely going to try this tutorial. I have tried Morphe eyeshadow palette and though they make great brushed the eyeshadow palette wasn't that great. It had a lot of great colors but I feel like you have to pack on the shadow for it to show. Invest in the Naked 2 palette….You will love it! Way to go with that winged eyeliner girl! Girl this look is soo pretty!! Lately I'm all about matte shadows, but I love how this looks on you. Wow dear super nice make up!! Are an artist. Hi, Andrea! 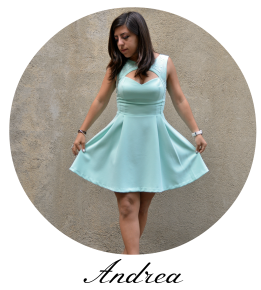 I am now following you on bloglovin, so that I don't miss any post from now on! 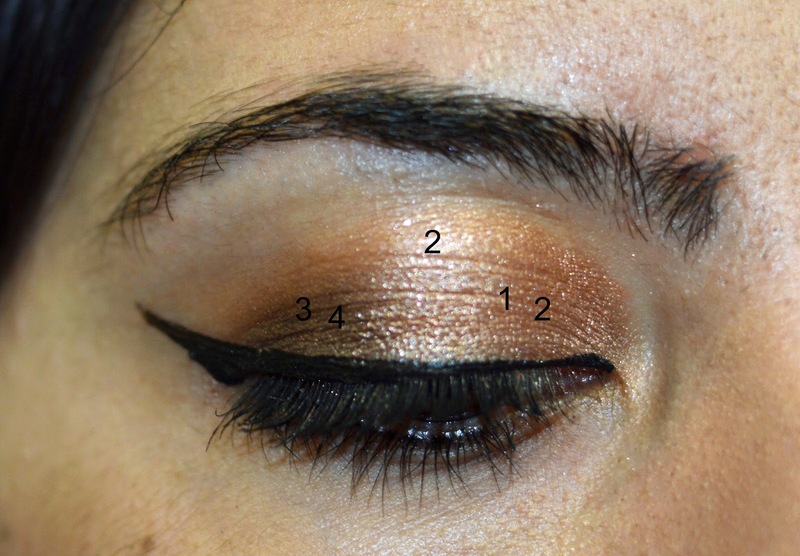 I liked the makeup and the gold tones – the Naked palette is always cool! You ask about expensive x cheaper products…. well, I have a L'Oreal eyeshadow that I really love, while I do have more expensive makeup like Dior and Givenchy that let me down, the pigments so poor (not all the eyeshadows, but sometimes). Normally I wear browns and like you said, gold on a daily basis, but I am trying to dare a bit more… on Sunday I wore a shade that I never thought I would – green/bue eye shadow – I don't know whether I will do it again!